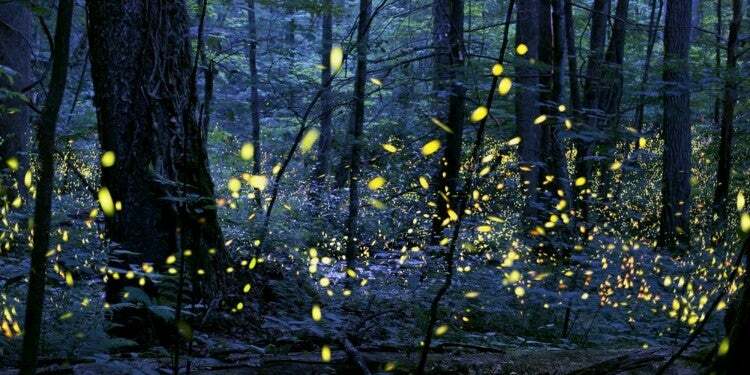 This Natchez Trace Trail article is brought to you by our friends at Primus. They know a little something about being a part of history— it was a Primus backpacking stove that Sir Edmund Hillary took up Mt. Everest with him on his historic summit. Over the decades, experience has proven Primus stoves are light, rugged, and easy to use, whether you’re climbing Himalayan mountains or exploring the American South. 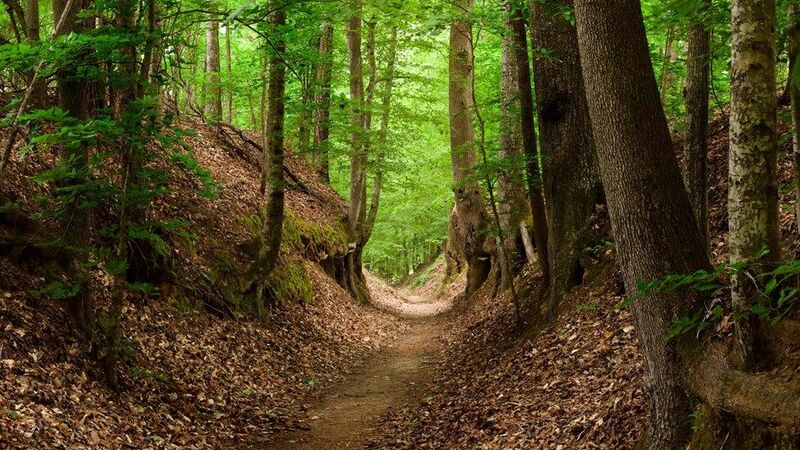 The Natchez Trace National Scenic Trail runs for almost 450 miles from Nashville, Tennessee to Natchez, Mississippi, weaving through the countryside from the country music capital deep into the heart of Delta blues. Humans have been hiking and camping along the Natchez Trace Trail for centuries. These days, though, it’s easier than ever, thanks to the National Scenic Trail designation and plentiful campsites along the way. In the era of popular outdoor recreation, when more people than ever are thru-hiking and section hiking wilderness trails like the AT and PCT, it’s easy to forget that not so long ago traveling on trails like the Natchez Trace was simply how you got from city to city. Long before this region was best known for steel guitars and sweet tea, however, the Natchez Trace Trail was crossed not by hiking boots, but soft moccasins and hard hooves. Like many of the country’s oldest roads and trails, the Natchez Trace Trail was once used by indigenous peoples, and before them, by the deer, bison, and other animals grazing in the fertile Mississippi river valley. For thousands of years, the Natchez Trace Trail has been crucial for not only the hungry ungulates who first wore this path into the grass, but by the mighty Mississippi Mound Builder civilizations, including the Natchez, Chitimacha, and Choctaw tribes. They used what is now the Natchez Trace Trail for hunting, trade, and transportation, and eventually those trails became thoroughfares for Spanish colonizers, too. The trail remained in use long after the French subjugated the Natchez in the 1700’s, the Choctaw and Creek signed treaties, and the Cherokee were sent down the Trail of Tears (which intersects with the Natchez Trace) to Oklahoma. By the 1800’s, the Natchez Trace Trail had been further widened and blazed to accommodate those traveling by horse and wagon. 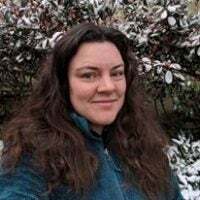 It was given other names over the years, including the Columbian Highway and the Devil’s Backbone (now the name of a brewery in the Blue Ridge Mountains). The trail’s reputation shifted, too, as it was trafficked first by missionaries and traveling preachers and then overrun with outlaws. One of the most famous incidents in the Natchez Trace’s history was when Meriwether Lewis, the same explorer who pushed the frontier west to Oregon, died under mysterious circumstances at a Tennessee inn along the trail. As traffic picked up along the Mississippi River, the Natchez Trace Trail dwindled in importance. What was once the highway of choice for pioneers and explorers became something after which to name the magnificent steamboats of the Mark Twain era— a tradition that continues to this day. In the 1930’s, the National Parks Service took over the remainder, and portions of the original Natchez Trace were turned into the Natchez Trace Parkway. 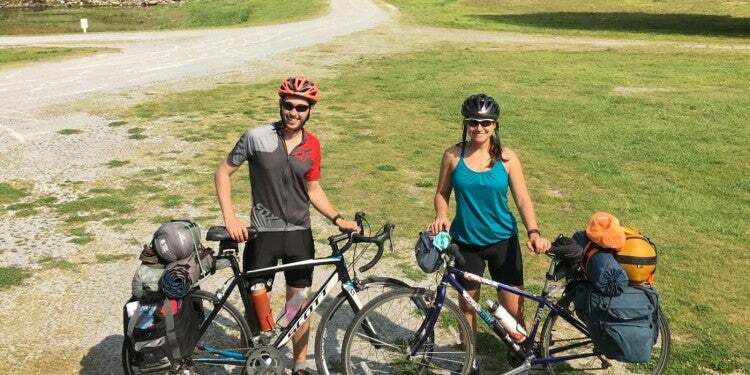 Today you can drive or cycle along the Parkway, while hikers and equestrians can enjoy segments of the Natchez Trace Trail that, in 1983, were declared an official National Scenic Trail. Those segments were completed in 2005. 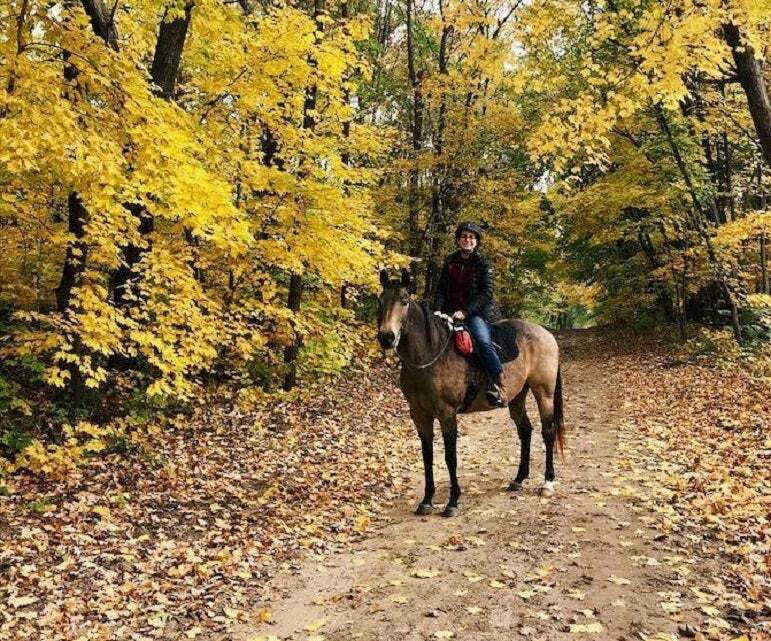 Equitrekking through Fall foliage / Image from The Dyrt camper Krista T.
Driving or biking the Natchez Trace Parkway is one way to enjoy the history of this corner of the southeast. However, you can also thru-hike the Natchez Trace National Scenic Trail if you want to dig in even deeper. The National Scenic Trail is also popular with equitrekkers who are continuing the four hundred year legacy of traveling the Trace by horseback. 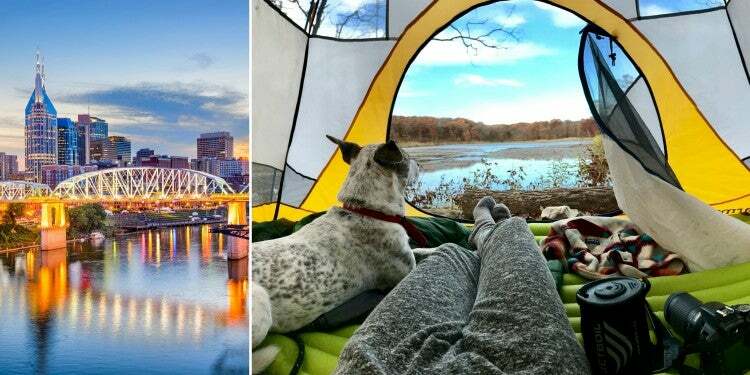 Either way, you’ll find over a dozen places to camp and attractions along the way. Many of the camping options are free, however be prepared to do some primitive camping. Before setting out, you’ll want to decide if you are going to cover the whole length of the Parkway at once, or in sections. 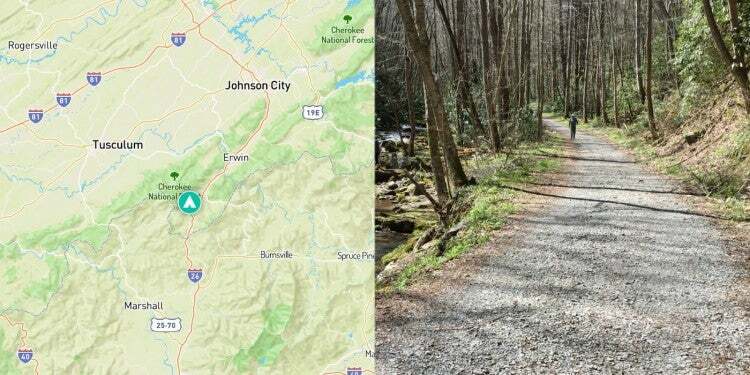 There are several smaller trails that together make up the Natchez Trace National Scenic Trail, including the Rocky Springs Trail, Tupelo Trail, Ridgeland Trail, and Leipers Fork Trail. You’ll also want to decide if you want to take the scenic route and enjoy a few detours along the way, or just to the Trace proper. 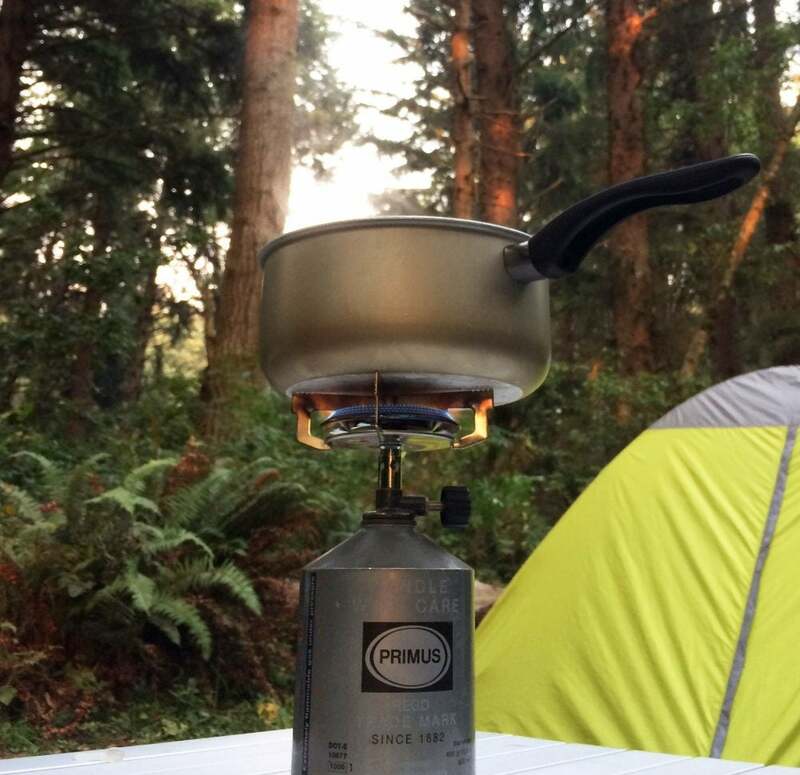 Primus Classic Trail backpacking stove / Image from The Dyrt camper Corinna B. Whether you’re biking, hiking, or horseback riding, you’ll definitely want to bring a backpacking stove along to prep your meals in between pit stops for biscuits, gravy, and other Southern fare. There are inns and restaurants along the Natchez Trace, of course, but the camping is primitive and you will be exploring a pretty rural part of the South. Weather along the Natchez Trace is relatively mild in the cooler months, but you’ll want base layers and rain gear in the winter time. 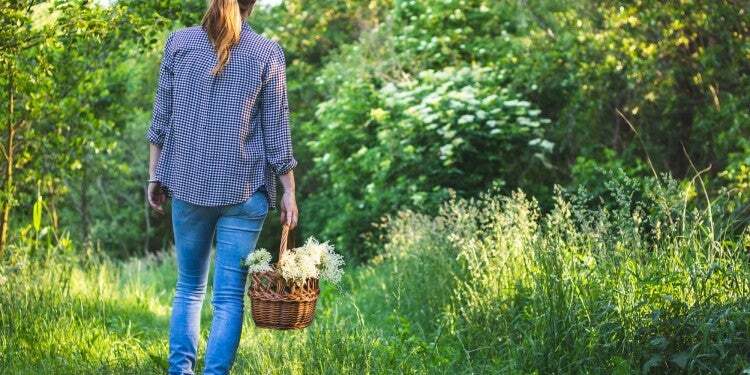 In the summer, be prepared for hot and sticky weather and pack plenty of bug spray. 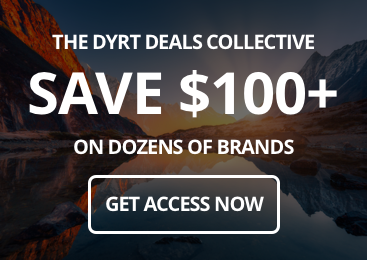 Sun glasses and SPF-rated clothing are also a good idea. A good hydropack is helpful, and you’ll be able to refill your water supply roughly every twenty miles or so—bring your water filtration method of choice, too. The Natchez Trace Trail is beautiful, but it’s certainly not as long or remote as other thru-hikes, like the Continental Divide Trail. 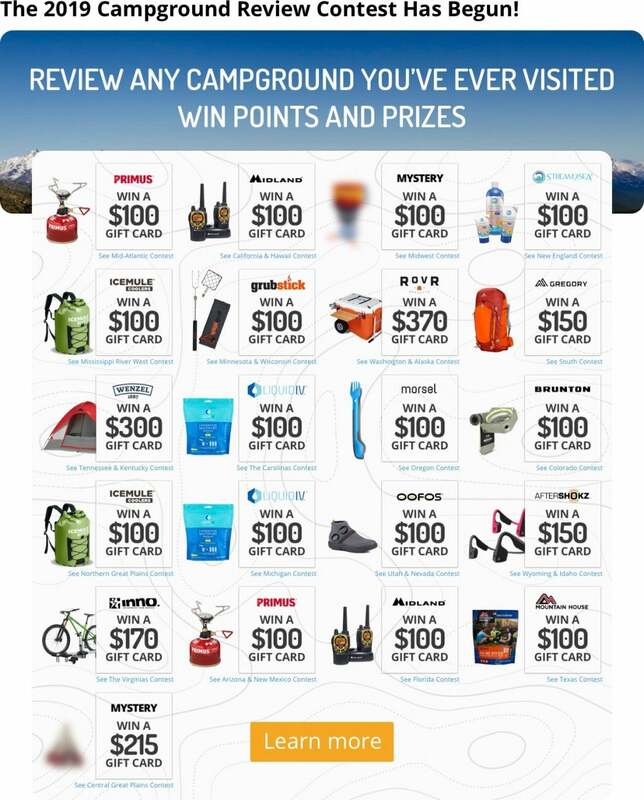 There will be several opportunities to pop into outdoor outfitters along the way to pick up fresh canisters of fuel for your backpacking stove, new socks or shoes, and fresh camping food, too. Do keep in mind that many of the campgrounds along the way are first-come, first-serve, so you’ll want to stay fairly flexible in your approach, especially if you’re tackling the Natchez Trace Trail at peak times, like fall foliage season. If you start in Nashville, Tennessee, you can stock up on gear at Mountain High Outfitters. 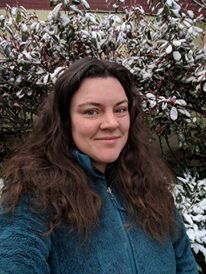 They offer rentals, including long-term, multi-week rentals, which is helpful if you’re still getting a feel for what thru-hiking setup works best for you, or if you’ve flown in for your adventure. Next, fuel up at one of the many great restaurants in Music City. Biscuit Love is close to Mountain High Outfitters, and is a great choice for a classic Southern breakfast. Hatty B’s Hot Chicken is also close by and is a Nashville classic sure to put a fire in your belly. Or you can hold out for the world famous Loveless Cafe, which is very close to where the Natchez Trace Trail begins, just southwest of Nashville. 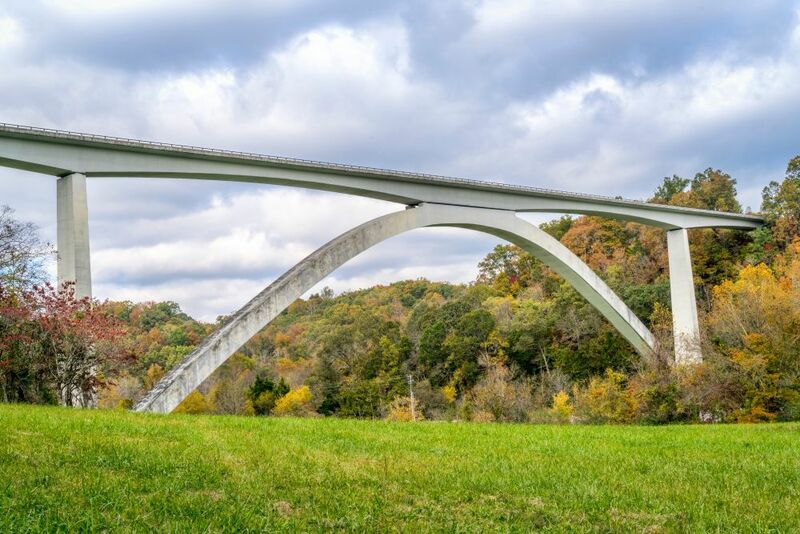 On your way out of Nashville, stop at Birdsong Hollow to get a photo of the Double Arch Bridge to commemorate your hike. You’ll inevitably be hungry again once you’ve worked your way thirteen miles down the trail, where you’ll reach Leiper’s Fork, an artsy little town full of Southern hospitality. Grab a bite at the original Puckett’s Grocery, a restaurant so popular it’s spread to other locations, including downtown Nashville and Chattanooga, Tennessee. This one’s the first, however, and you can find out for yourself why Puckett’s has earned such an outstanding reputation. Stop at milepost 401.4 to see a historic tobacco barn that marks a section of the original Natchez Trace trail in all of its ancient glory. Your next big attraction after the barn is Jackson Falls. Even when there hasn’t been much rain, it’s worth the climb up to the falls to catch a glimpse of the landscape all around you from the overlook six hundred feet up. Jackson Falls is named for Andrew Jackson, whose frontier feats are all tangled up in the history of the Natchez Trace Trail. Fall Hollow is another great spot further down the Tennessee portion of the trail where you can see some pretty little cascades. Before you cross into Alabama, stop at milepost 385.9 to see the place where Meriwether Lewis died. It’s unclear if it was suicide, murder, or accident that felled the famous explorer. Historians are still trying to sort out exactly how this historic hero met his end at a small Inn on what was then one of America’s most trafficked roads. You can tip your hat, however, here where the Grinder House once stood. 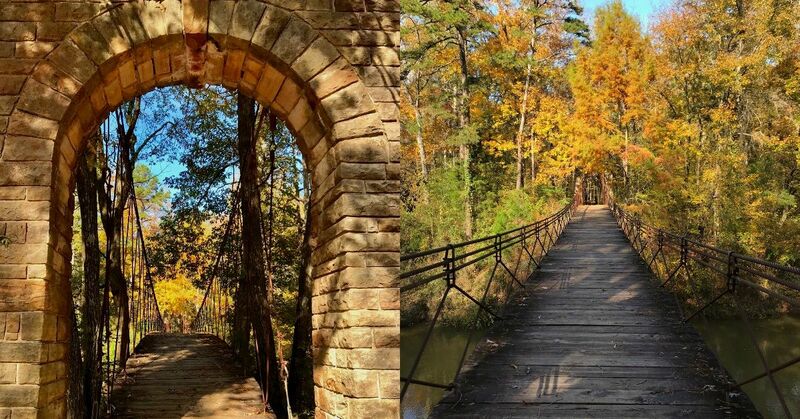 Though only 30 miles or so of the Natchez Trace Trail passes through Alabama, it’s a section with plenty to see and do. For example, just ten miles from the Tennessee-Alabama border is the Wichahpi Commemorative Stone Wall, also known as Te-lah-nay’s Wall. 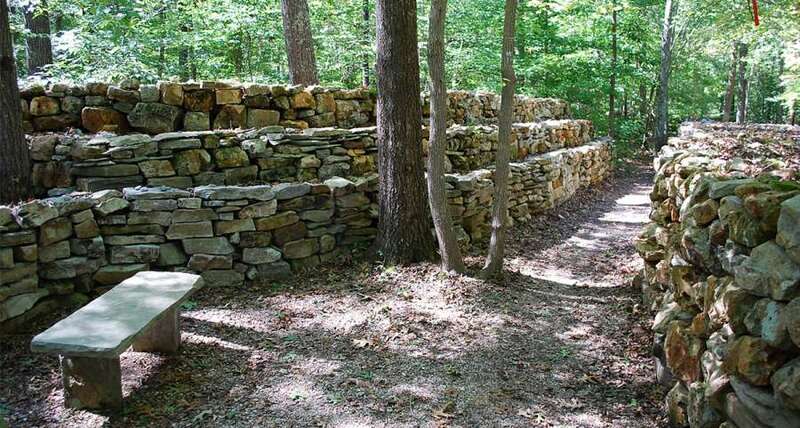 At a mile and a half long, it’s the biggest rock wall in the United States made without the use of mortar, and was built by a third-generation descendant of a Native American woman from the Yuchi tribe who was forcibly removed to Oklahoma before returning to her home in the southeast over a long five year odyssey. Next up on your path is the John Coffee Memorial Bridge, which is just shy of a mile long and will carry you over the mighty Tennessee River. Two hundred years ago, you would have paid a pretty penny to cross by ferry. Now you can stroll along and find yourself within twenty miles of Muscle Shoals, Alabama, another music-lovers mecca in the vicinity of the Natchez Trace Trail. Muscle Shoals is where blues, rock, country, Americana, folks, swamp and pop met and mingled, swirling into albums that are greater than a sum of their parts. This is where Bob Seger recorded “Old Time Rock n’ Roll,” where Etta James laid down “I’d Rather Go Blind,” and where the Rolling Stones put together “Brown Sugar,” just to name a few. Pay a visit to Muscle Shoals Sound Studio and Fame Studio to get a sense of the past and present of the Muscle Shoals sound. In addition to the rich cultural history around Muscle Shoals, this section of the Natchez Trace Trail is also a stop on the North Alabama Birding Trail . Keep your eyes peeled for White-breasted Nuthatches, Orchard Orioles, Eastern Kingbirds, and a variety of woodpeckers as you bike, hike, or ride towards Tuscumbia, Alabama. Tuscumbia is best known as the birthplace of Helen Keller. You can visit the house where she grew up before continuing your travels. Suspension bridge over Bear Creek in Tishomingo State Park / Image from The Dyrt camper Shana D.
If you need to rest up after the Alabama section, take a zero day or two in Tishomingo State Park, where you’ll find waterfalls, canoeing, and disc golf. Once you’re recharged, you can continue on to Tupelo, Mississippi, the birthplace of Elvis Presley. If you need to resupply while you’re here, swing by CORE Cycle + Outdoor store, a full-service bike shop that also has a killer indoor climbing wall. At milepost 286.7, you’ll find eight mounds dating back to 1 and 200 A.D. Take continued use and erosion into account and you have a small sense of just how huge these mounds were originally. Archeological excavations of the Pharr Mounds hint at just how wide the indigenous trade networks ranged, as the mounds were full of materials that aren’t naturally found in this region. Just ten miles down the parkway, you’ll find a historic contrast in the form of 13 Confederate graves, the identities of these fallen soldiers unknown. Thirty miles further and you’ll encounter another network, the Bynum Mounds, built by the Chickasaw people who, in 100 BC to 100 AD, had a city near what is now Houston, Mississippi. Like the Pharr Mounds, excavations in the midcentury showed evidence of extensive trade networks along the Natchez Trace Trail, including goods from what is now Illinois. While much of the Natchez Trace Trail is fairly flat, and even worn down into the ground by century upon century of use, you will encounter Little Mountain in Jeff Busby Park. At just 584 feet, the trail isn’t especially challenging. That said, completing the two mile loop up the mountain will afford you views of about 20 miles, giving you an opportunity to look back and see some of what you’ve hiked so far. Don’t make the mistake of assuming Kosciusko is a Native American word when you pass through this small Mississippi town north of Jackson . It’s actually named for Polish-Lithuanian general Tadeusz Kościuszko, who helped fight the British during the Revolutionary War. These days, Kosciusko is better known as the birthplace of Oprah Winfrey. When you reach Jackson, Mississippi, give the camp food a break to stop by Mayflower Café. This unassuming Greek restaurant is not only Jackson’s oldest eatery, it’s also where Comeback Sauce was invented. This Mississippi classic is a little like aioli or remoulade— a thick, flavorful, mayonnaise-based sauce full of spices—perfect for dunking hushpuppies and fried shrimp. History buffs might enjoy stopping in to the The Mississippi Agriculture and Forestry Museum in Jackson, as well. Stock up on fuel for your backpacking stove, camping food, and any other gear or supplies you need for the last leg of your trip at at Buffalo Peak Outfitters, a locally owned outdoor store that’s been getting Mississippians on the trail since 1987. After leaving Jackson, you can decide if you want to take a detour over to Vicksburg for a little Civil War History. Or you can continue down the Natchez Trace directly toward Rocky Springs, where you can check out the Owens Creek Waterfall. You’ll also find more Native American earthworks at the Mangum Mounds, and the Sunken Trace, where you can get a sense of just how long the trail has been in use. The trail is worn down into the earth far enough that it’s almost like walking through a halfpipe, after centuries of feet, hooves, and wagons making their way through. The Windsor Ruins stand as an eerie testament to the region’s plantation past. The columns were once part of a Greek Revival mansion that burned down in 1890, leaving only a rough outline of the floorplan. 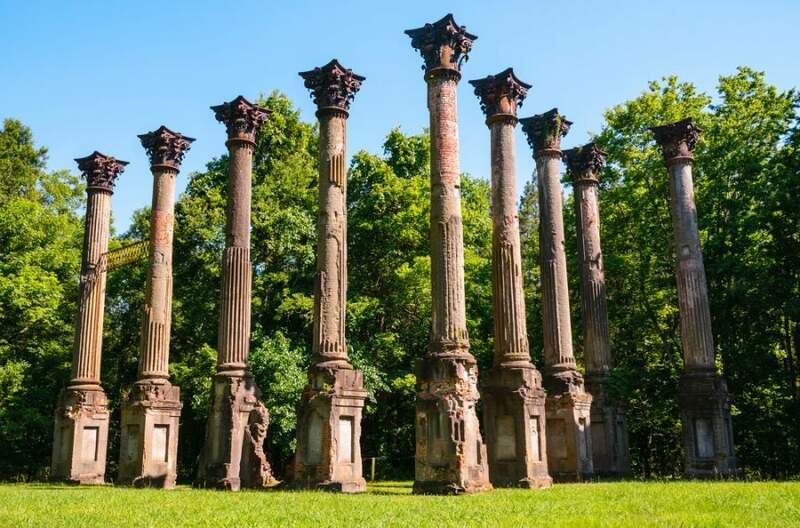 The Ruins have continued to attract visitors, however, and have been featured in several movies including Raintree County and Ghosts of Mississippi. There are intact antebellum mansions on the Natchez Trace at Springfield Plantation and Mount Locust. Springfield is where, in 1791, Andrew Jackson married Rachel Donelson, whose father was one of the co-founders of the city of Nashville where the Natchez Trace begins. Mount Locust is even older, built in 1780, and has served as an inn for travelers along the Natchez Trace since 1795. Next, you’ll reach Loess Bluff, Natchez State Park, and Emerald Mound. As you approach the end of the Natchez Trace Trail and mile marker 30, give your backpacking stove another break at Mr. D’s ‘Heavenly Fried Chicken’ at The Old Country Store Restaurant in Lorman, Mississippi. You’re in for a real treat— Alton Brown declared that Mr. D’s is the only fried chicken he’ll eat besides what he makes in his own kitchen. Travelers following the Natchez Trace have been stopping at The Old Country Store since 1875, when the area’s antebellum mansions and plantations were still quite new. While the towns around it have weathered a lot of change, The Old Country Store has kept right on. After you feast on fried chicken and okra, there’s just a little more trail to cover before you reach Natchez National Historical Park and the southern terminus of the trail. You’ve just walked, biked, or ridden through 8,000 years of the history of the American south. Not bad for a back or bike packing trip!